Rescuers found them just in time. As rescuers make their way from home to home in the wake of the Louisiana floods, the scenes start to repeat themselves. Lifeless yards. Dark houses. No one home. But they keep making house calls during this post-apocalypse - the aftermath of the worst disaster the country's seen since Hurricane Sandy in 2012. When 30,0000 people fled the southern parts of the state two weeks ago, many left their pets behind. And now, rescuers are racing to find them. 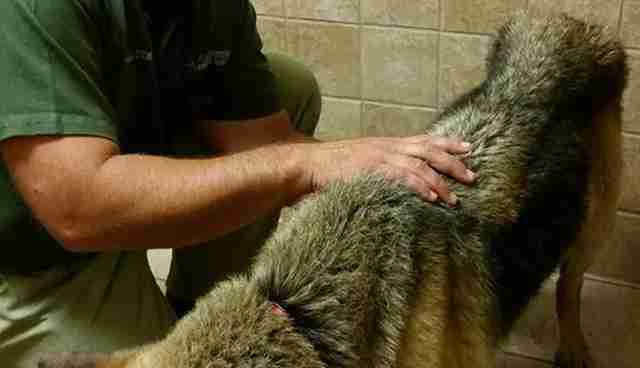 Like a German shepherd, who, at just 38 pounds, was initially mistaken for dead. "She was covered in mud, lying motionless in a ditch when passersby first noticed her," Patricia Blackwood, operations officer for Guardians of Rescue, tells The Dodo. "It was as though she had given up hope and was waiting to die." But not that day. 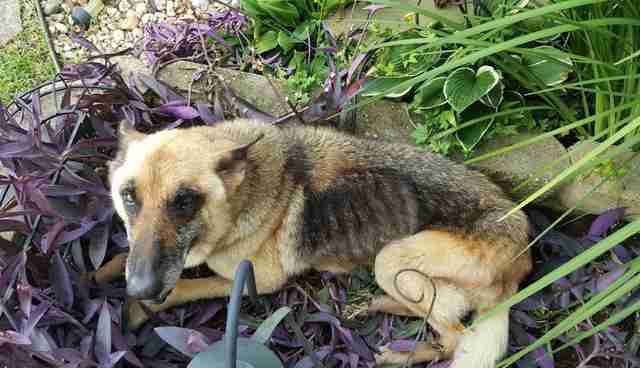 Instead, the dog will recover at an emergency shelter. 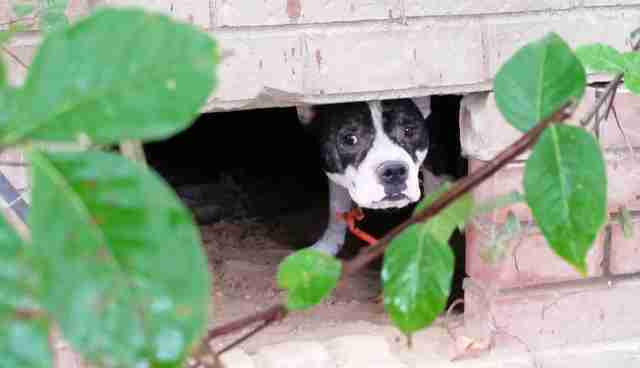 "Now what you have is animals come out of hiding," Robert Misseri, founder of Guardians of Rescue, tells The Dodo. 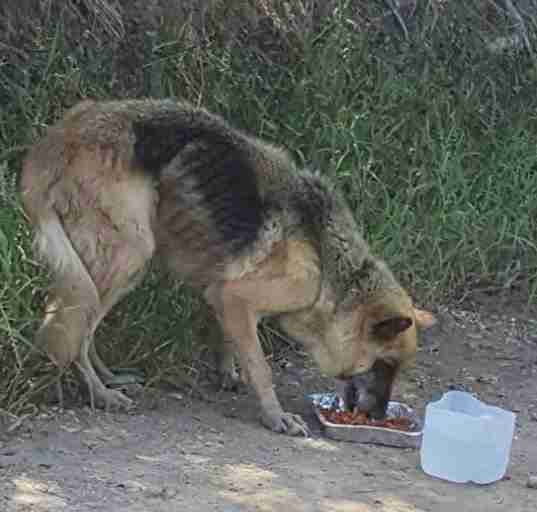 "Animals wandering lost, hurt, starving. This is what you're dealing with on an everyday basis." "You come up to a house, there's no one there. No one around," he says. "You can see dogs haven't eaten. No water, no food, nothing. Just chained up." 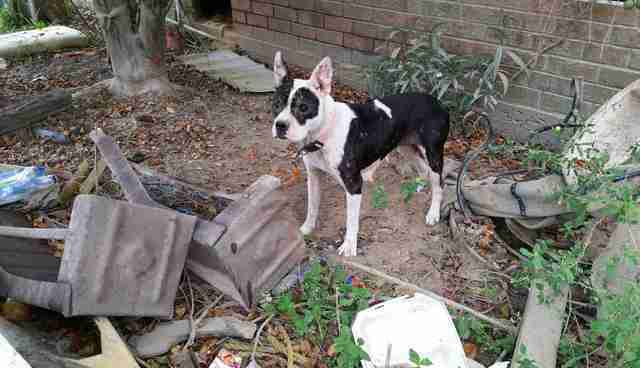 Last week, rescuers were tipped off to three dogs trapped in a yard. 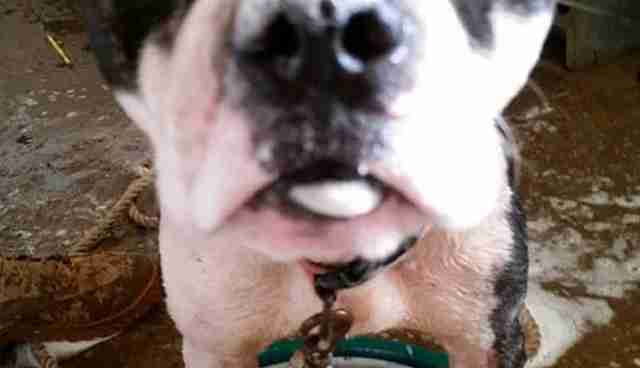 Their owner had fled, leaving them with empty bowls and no means of escape. They had been chained to their posts for good measure. But thanks to a neighbor who gave them food and water, they managed to survive until help got there. "After assessing the situation, the owner was located and ownership was signed over and we quickly moved in to remove them from where they had endured rising waters, hunger and thirst," Blackwood says. But then rescuers were faced with the same problem that has plagued the animal rescue effort since the torrent began in mid-August. Where do they take these tired, hungry dogs? "It's been really difficult because there's no assistance," Misseri says. "The shelters are full. They can't take in animals." Where rescuers once faced a flood, they now find themselves bogged down by a severe shortage of resources. 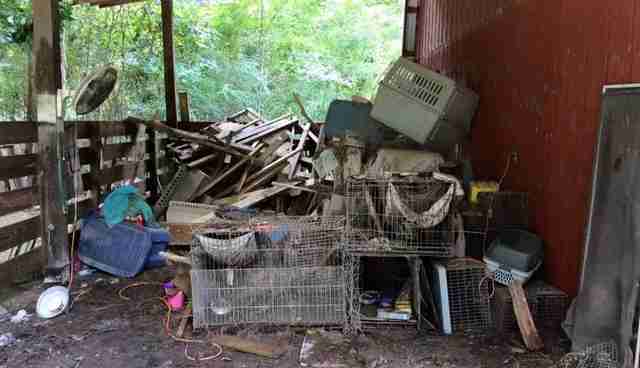 "Until [the animals are] medically cleared, you can't move them out of the state," Misseri notes. "It's really complicated. It's one of those rescues that, if you don't have resources, you're really stuck." These three dogs were among the fortunate few to find spots in emergency shelters. 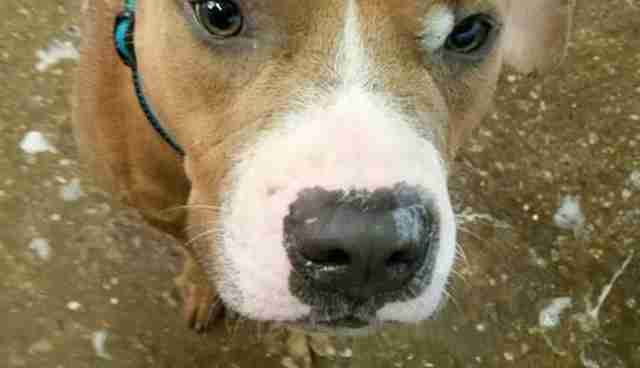 They were loaded into crates, then kennels. 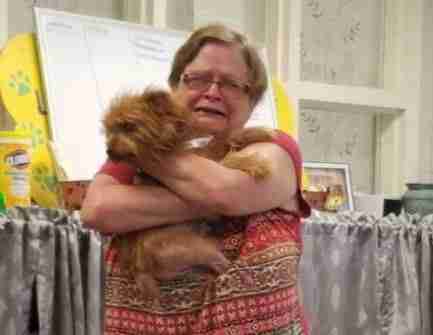 "They are all happy, friendly dogs who love people," Blackwood says. Two are heartworm positive. All now have hope. When Misseri explains what rescuers need, you can tell it isn't the first time he's recited this list. "We need rescues to take animals. We need transport. We need vets," he says. 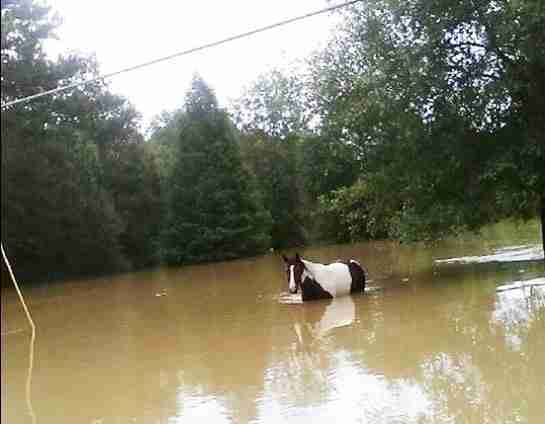 Even horses were left behind, their owners unable to return to them when the waters rose. Some ended up standing in sewage-filled water for so long, their infected skin had peeled off. "The waters may be receding, but that has brought a flood of animals who are in dire need," Blackwood explains. 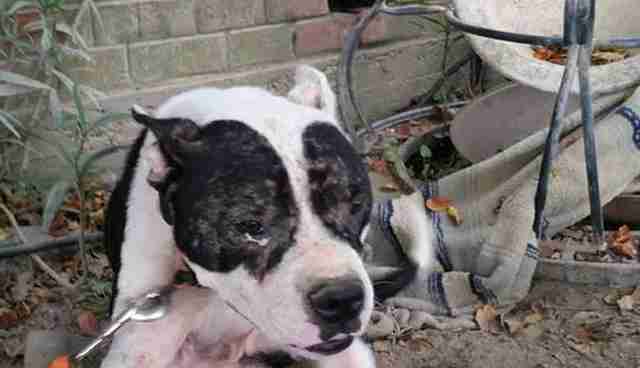 "Abandoned, starving, injured and ill. 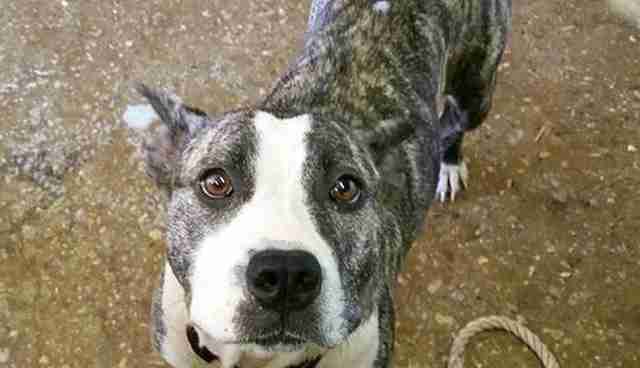 The reality is, time is running out and Guardians of Rescue is working to beat that clock." But the flood of four-legged refugees continues to rage, even as more rescue groups pull out of the area. And not every cry for help can be heard. Sometimes, you have to peer over the fences. 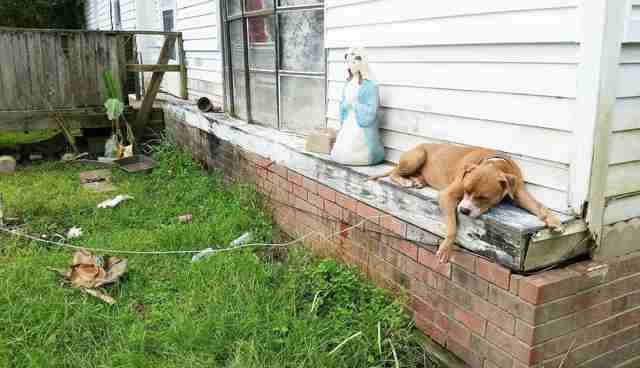 Consider making a donation to Guardian of Rescue's mission to leave no animal behind in Louisiana.